Community Blog - Holistic Therapy Practice... for Your Pets! Holistic Therapy Practice... for Your Pets! An Indian goddess sitting in meditation pose, a white lotus flower in full bloom... and a cute shaggy puppy dog resting on it's two front paws - this was the flyer that caught my eye when I spotted the words ‘holistic therapy practice' and ‘Greenwich' in the title. I thought ‘great a new natural therapy centre within walking distance to home'. Unfortunately this little soul-healing hub is not for my humanoid limbs - it's a dog hotel. Not only can our doggy friends be eco friendly with their compostable doggy bags and hemp toys they can be pampered with aromatherapy canine massage and reiki. The Greenwich Dog Hotel, registered with the Complimentary Medicine Association, offers such services. Undertaken by qualified dog behaviourist and trainer holistic therapies can relieve your pooch of stress, sensitivity, anxiety, rheumatic conditions and a whole range of other physical ailments. Alternative herbal remedies, nutritional advice and diet plans and home consultations are all on offer at this doggy paradise. 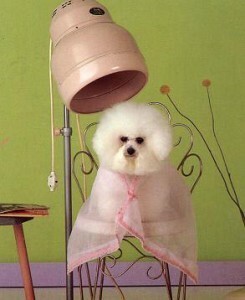 They hotel are also available for dog walking, home visits and dog grooming. The hotel's brochure says that it will look after any breed of any age. So perhaps you might consider giving your best hairy friend a little vacation when you take your summer holiday this year? For more information on the Greenwich Dog Hotel call 07954 285 058.